The second Jon Gruden era is off to a very weird start in the bay area. The Oakland Raiders opened the NFL season with a blockbuster trade just before Week One began. The deal sent star outside linebacker and edge rusher Khalil Mack to the Chicago Bears. 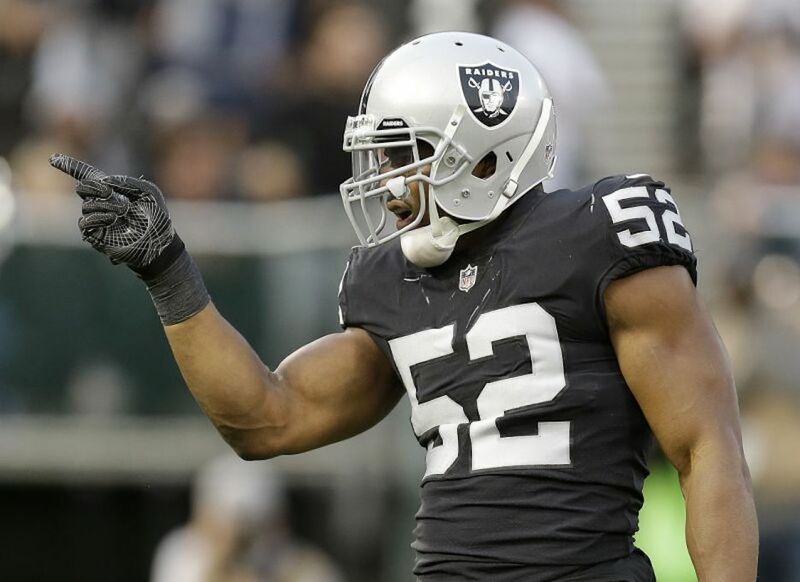 The Raiders weren’t able to come to terms with Mack on a long-term extension and there were rumors that he didn’t get along with Jon Gruden, but trading one of the best defensive players doesn’t make a heck of a lot of sense for Oakland. With Mack on the roster in 2017, the Raiders were the 20th ranked team in overall defense and had holes all over the place. Without their one clear-cut superstar on the roster anymore, one has to assume that they’ll drop even lower in 2018. Surefire defensive superstars are hard to find so trading a former defensive player of the year while he’s in his prime is absurd, especially considering Jon Gruden and company don’t have another star on defense. Mack was an unstoppable force ever since he entered the league, and he stuck it to Gruden and the Raiders Sunday Night by having a career night in his first game in a Chicago uniform. Against the Packers Sunday Night, Mack had three tackles, a sack fumble recovery, and a pick six. He also drew multiple holding penalties and broke through Green Bay’s offensive line on a regular basis. Meanwhile, the Raiders opened the season by allowing 33 points to the Rams in a game that could’ve been more interesting if the Raiders made more splash plays on defense. Multiple first-round draft picks makes are a very appealing trade offer, but it isn’t worth it if you have to give a player as dominant as Mack. It’s up to the Raiders front office to turn those picks into stars.